One of the most frustrating issues of having a sleep disorder is the not knowing why it’s happening to you. One tool to help you find the cause of your sleep disorder is a sleep diary. 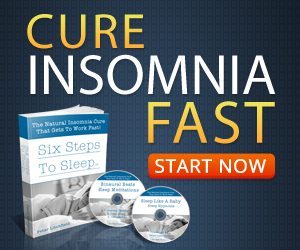 Are you having trouble getting to sleep at night? Do you have problems staying asleep? When you’re at work or school, do you have trouble focusing or concentrating? If so, you could be like millions suffering from a sleep disorder. A sleep diary is a document, computer program or cell phone app that records your sleep habits. A sleep diary can help you pinpoint the reasons you’re not getting enough rest at night. Using a diary to record your sleep patterns could help you identify something that’s effecting your sleep. 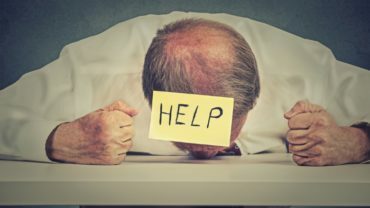 When you’re suffering from sleep disorders, your mind may not function as clearly as it does when you are getting enough sleep. A diary will help you remember the details of why you woke up, or what caused you to have trouble falling asleep. * Was the bedroom too hot, too cold, etc. The above list is not a complete list but the idea is record as much information as possible. The slightest thing could prove valuable. Your diary can reveal habits you haven’t picked up on. It doesn’t have to be anything fancy. Keep track of the times you wake up and what made you wake up. Did you get out of bed when you woke up? What did you do? When were you able to go back to sleep? Also, keep a record what medications you took. All these answers help the sleep study clinic (or you) hone in on what you’re doing right or wrong. Record Your Overall Feelings. Note to yourself whether you felt refreshed or fatigued when you woke up the next morning. At different times of the day, try to note how you feel – energetic or exhausted? Should I Use Paper or Software Program? A simple piece of paper with grids can be all you need to create a record of your sleep. You don’t even need to be exact with timelines – if you know you went to bed around 10 PM, write it down – don’t worry if it was 9:55 PM or 10:12 PM. Below are four sleep diaries you can use. All versions print, online and cell phone apps are listed. Go over your sleep diary and see what changes you can make in your lifestyle habits to help reduce your sleep disorder. If you don’t see anything clearly pointing out the issue, take the sleep diary to a doctor and have them review it. A sleep expert is professionally-trained to find the issues you are over looking.